You’d be surprised at how many sad patients suffer from that calamity known as Swimmer’s Ear over the summer. And you, as an ENT, have the perfect solution — first, the treatment, then the prevention (which also doubles as a really cool promotional gift for stopping by!). 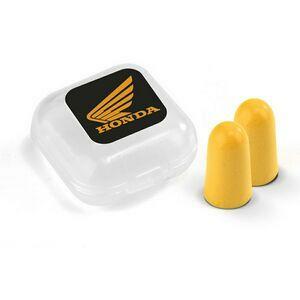 That’s right: branded ear plugs! Reputation is everything. And that’s especially the case when it comes to your patients. The thing is you’ll find many an ENT who will stress to not swim at all because of that ear infection. Frowns commence. This is especially the case for workers in the field requiring the submerge — lifeguards, swimming instructors, Navy SEALs. You name it — any profession requiring the submerge in water fails miserably when succumbing to Swimmer’s Ear. The bane of all professionals and recreational enthusiasts of H2O. No patient wants to hear that they can no longer swim until the infection’s cleared up; but oftentimes, just for safety reasons, an ENT has to bring it up. Sometimes even wagging the finger like dentists do when patients haven’t brushed their pearly whites in ages. However, when you’ve branded yourself as someone who doesn’t only treat, but helps prevent, offering those FREE (and I emphasize again: FREE) branded ear plugs as a way to help prevent further damage to the canals in there, you’ll definitely have one happy patient on your hands! You Know What That Means? Great Word of Mouth. And for an ENT, or any doctor for that matter, word of mouth is everything. Reputation is everything. Allowing patients the ability to still live life, help prevent future infections, and successfully promote your practice? TRIPLE THREAT. We urge you to take advantage of that TRIPLE THREAT. Check us out at BRAVA Marketing, contact us. Browse our selections. And get ready to not only save your ears, but your sanity when summer hits!